I call agility "a playground for dogs." When I go to the local park to practice I set out equipment that attracts children near and far. I put up a tunnel, a dog walk (sort of a wide balance beam), a collapsed tunnel (imagine a HUGE wind sock attached to a barrel), several bar jumps, a couple of tires suspended in a frame, a series of poles (weave poles) and a small table or platform. All this my dogs watch with eager attention, waiting for their turn. I turned to agility when my plan to get involved in Search and Rescue failed. I found agility to be a delightful activity. The dogs enjoy it. It boosts their confidence and helps them focus. The idea is to run over or through the various obstacles as I direct. The skill comes not merely in physical fitness, but in how well my dog and I communicate, so that she takes the obstacle I want her to take, rather than just the most convenient one. It is especially suitable for the very active dog, but almost any dog can participate at one level or another. I call the kind of agility I do at the local park "JFF Agility", that is Just For Fun Agility. None of my equipment is standard, but it certainly is a lot of fun. I have added a page for JFF Agility to provide some examples of the kinds of equipment that are practicable for transporting and setting up by the average person. Of course I couldn't resist including pictures of the dogs using the equipment. Here is a picture of my friend Babar at an April trial! Oh my! Below are selected agility links. I tried to include ones that were simple and descriptive for the merely curious, and full of links to other sites for those who want to learn more. There are lots of very good links available. I don't plan on collecting all the web sites that focus on this sport. Looking for help getting started in dog agility? This site has evolved from a nice agility site focused on Chihuahuas to a wonderful site more broadly focused on the sport as a whole. I've started you off on the introduction to agility page, but you can easily navigate to other pages to explore further. This site has resources for everyone to the person just exploring the activity to the veteran looking for the latest tips to winning. One of the things I like best about the site is that it feels comfortable. You don't have to be a top competitor to get something out of it. Bay Team is the club closest to me, and a wonderful club it is too. They are an enthusiastic, dedicated and busy bunch of people with the idea that agility is fun. Crazy isn't it? This site lists agility clubs and instructors local to the San Francisco Bay Area. Want to go watch - check the events calandar. This class is designed purely for the enjoyment of handler and dog, while still teaching practical agility skills. Using positive reinforcement training techniques, your dog will be introduced to the jump, broad jump, wing jump, tire, tunnel, weave poles, A-frame, dog walk, teeter, and pause table. You will also be given helpful hints to create an agility course in your own backyard. Another nice introduction to the sport, somewhat more colorfully written than most. Proof that really big dogs can enjoy the sport of agility. I put this page in here because all too often a person will tell me, regretfully, that they really like agility but they can't do it because their dog has some physical problem or is simply an older dog and they don't want to stress the joints. Well competition can be hard on a dog, but who says you have to compete? You can work on all sorts of skills without stressing your dog's joints. Just put together some equipment and have fun. On-line agility foundation training videos and information. Sometimes my dogs and I can be spotted at one of the great agility trials put on by this group. They are only an hour and a half from us. This site lists agility clubs and instructors in the general Sacramento area, and the events they host. See the What is Agility page for getting started information in the UK. If you want to know anything about agility in the UK this is the best place to start. Search the sites listed below. Also check your phone book for dog obedience and training clubs and schools - even if they don't do it within the club very likely they will know who does. An excellent searchable list of agility clubs and schools for help in finding one in your area. Lists organizations that sanction trials. In most cases they will have an events calendar, you can go watch and make contact there, and a clubs list that you can contact for information on instructors in your area. Quality of the videos varies but there are some world team runs and some where the dog is wearing the camera. Really nice pictures and easy to understand explanations. This is really the best way to understand agility - see - hear - learn - and it is entertaining as well. 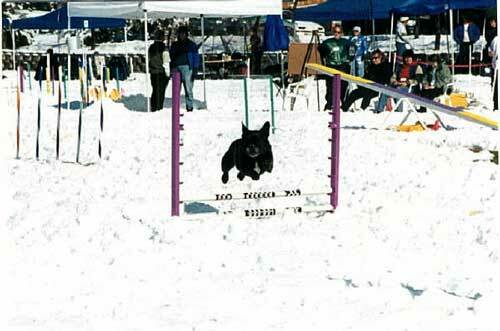 They will also attend agility events and video the action. These result in professionally edited videos that have extras such as a running clock so you can really see how your team is doing in weaves or contact performance, or a comparision against the winning team. See Agility books and videos available from Dogwise.